ACTION NEEDED: Ask both your U.S. Senators and your Congressperson in the U.S. House of Representatives to sign onto the "Baldwin" (in the U.S. SENATE) or "Roe-Walz" (in the U.S. HOUSE) "Dear Colleague Letter for FY17 Gulf War Illness CDMRP funding"
DEADLINE: Sign-On's must be completed no later than March 14, 2016 (House) and March 15 (Senate). (91outcomes.com) - Several members of Congress have launched an important, bipartisan initiative to provide continuation funding for the treatment-focused Gulf War Illness Research Program, part of the Congressionally Directed Medical Research Program (CDMRP) administered by the U.S. Department of Defense under Congressional direction. Official estimates show that Gulf War Illness affects between one-fourth and one-third of the veterans of the 1991 Gulf War. The consensus among Gulf War Illness medical researchers is increasingly clear: With the a concerted national effort, effective treatments can likely be found. Led in the U.S. House of Representatives by Congressman Phil Roe, M.D. (R-Tennessee) Congressman Tim Walz (D-Minnesota) and in the U.S. Senate by Senator Tammy Baldwin (D-Wisconsin), the effort seeks continuation funding for the unique, treatment-focused medical research program aimed at improving these veterans' health and lives. Information below shows what you can do in just five minutes to support this critically important national effort to help our nation's war veterans on this 25th anniversary of the war. (U.S. SENATE) Find your two U.S. Senators here (near the top right corner, select your State). 2. Call their Washington, DC office [not their office(s) back in their district or home state] , and ask for the legislative staff person who handles Defense Appropriations. (U.S. SENATE) The "Baldwin Dear Colleague letter for treatment-focused FY17 Gulf War Illness Research Program continuation funding." (U.S. HOUSE) The "Roe-Walz Dear Colleague Letter for treatment-focused FY17 Gulf War Illness Research Program continuation funding." 6. State that this is continuation funding for a successful, treatment-focused program and there have been many cosigners every year. 7. State the sign-on deadline (this is a hard deadline): March 14, 2016 (U.S. House) or March 15, 2016 (U.S. Senate). The Senator or Congressman/Congresswoman will likely want to support the one-fourth to one-third of Gulf War veterans and others suffering from Gulf War Illness. Staff contacts, in case they ask are: Sen. Tammy Baldwin (Jeremy Steslicki); Rep. Phil Roe (Alex Large); Rep. Tim Walz (Chris Bennett). Be SPECIFIC with the REQUEST: Sign onto the "Baldwin" (U.S. SENATE) or "Roe-Walz" (U.S. HOUSE) "Dear Colleague Letter for FY17 Gulf War Illness CDMRP funding"
In the U.S. House of Representatives, Rep. Phil Roe, M.D. (R-Tennessee) and Rep. Tim Walz (D-Minnesota) are co-leading the bipartisan effort for the House. The program is supported by the nation's leading Veterans Service Organizations, including: the American Legion; AMVETS; Association of the U.S. Navy (AUSN); Burnpits360; Disabled American Veterans (DAV); Lung Cancer Alliance; National Gulf War Resource Center (NGWRC); National Vietnam & Gulf War Veterans Coalition (NVGWVC); Paralyzed Veterans of America (PVA); Sergeant Sullivan Circle; Toxic Wounds Task Force; Veterans for Common Sense (VCS); Veterans of Foreign Wars (VFW); Vietnam Veterans of America (VVA). 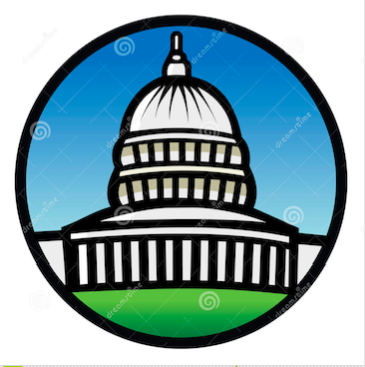 The sign-on deadline for Congresspersons in the U.S. House of Representatives to sign-on is March 14, 2016, and for Senators in the U.S. Senate it is March 15, 2016. Typically, their offices need one or more days to secure approval to sign-on. The Congressionally Directed Medical Research Program (CDMRP), a Congressionally directed activity funded under the U.S. Department of Defense, has a comprehensive website on the GWI program at: http://cdmrp.army.mil/gwirp . The CDMRP also publishes an overview of the program in its GWIRP program booklet. Thank you for your continued support for the Gulf War Illness Research Program (GWIRP) within the Department of Defense (DOD) Congressionally Directed Medical Research Programs (CDMRP), including the $20 million provided to the program by Congress for Fiscal Year (FY) 2016. As your Committee begins work on the FY 2017 DOD Appropriations Bill, we are writing to provide a program update and to request that you include the funding necessary to continue the GWIRP’s successful work on behalf of Gulf War veterans. We have made strides in the fight against Gulf War Illness, but many challenges remain. Since the 2008 report of the congressionally-mandated Research Advisory Committee on Gulf War Veterans’ Illnesses (RAC) and the 2010 report of the Institute of Medicine (IOM), science has shown that Gulf War Illness is a physical condition—likely caused by toxic exposures—affecting between one-quarter and one-third of the nearly 700,000 veterans who served. The most recent RAC update in 2014 affirmed these conclusions, and a 2016 IOM update “found little evidence to warrant changes to the conclusions made by the [2010 IOM] committee . . .” Common symptoms include “some combination of widespread pain, headache, persistent problems with memory and thinking, fatigue, breathing problems, stomach and intestinal symptoms, and skin abnormalities.” Studies also have found an elevated incidence of Lou Gehrig’s disease (ALS) among Gulf War veterans as well as significantly elevated rates of death due to brain cancer among those who were most exposed to the release of nerve gas by the destruction of the Khamisiyah Iraqi arms depot. The positive news is that treatment research has increased significantly since 2008, particularly reflecting the work of the GWIRP at CDMRP, and that early results represent encouraging steps toward achieving the 2010 IOM treatment goals “to speed the development of effective treatments, cures, and, it is hoped, preventions.” Indeed, the GWIRP has served as a model of how to conduct treatment-oriented research to address a challenging illness and is succeeding where earlier programs failed. By Congressional design, the program is narrowly focused on identifying treatments and diagnostic markers. Its highly competitive, peer-reviewed process is open to all researchers, whereas U.S. Department of Veterans Affairs (VA) research is restricted to VA staff, few of whom have expertise in this rapidly-evolving, cutting-edge area. GWIRP-funded studies have found treatments—like CoQ10, acupuncture, carnosine, and xylitol/saline nasal irrigation—that help alleviate some GWI symptoms, and ongoing evaluations of treatments include off-the-shelf medications and alternative therapies for which there is a rationale for GWI symptom relief. Other studies by multisite, multidisciplinary teams are focused on identifying treatments to attack the underlying disease and are showing great promise, finding that even low-dose chemical warfare agent and/or pesticide exposure leads to the following findings, among others: persistent brain changes associated with GWI; evidence of a GWI chronic central nervous system inflammatory state; a potential explanation of GWI immunological dysfunction; inflammation and immune dysfunction in GWI after exercise challenge; evidence suggesting small fiber peripheral neuropathy in a subset of GWI veterans; lipid dysfunction following GWI exposures; and persistent changes in axonal transport in the brain. Some of the new pilot studies of treatments approved in 2015 include: vagus nerve stimulation; D-Cycloserine; anatabine; liposomal glutathione and curcumin; and a “mitochondrial cocktail” extending the benefits of CoQ10. New research to identify underlying disease mechanisms and biomarkers includes: studies of novel autoantibody serum and cerebrospinal fluid biomarkers; microtubule abnormalities; neurovascular and autonomic dysfunction; brain autoimmune dysfunction; muscle mitochondrial assessment; and an objective blood test from stimulated gene expression. In addition to improving the health of Gulf War veterans, these important discoveries also will help protect current and future American servicemembers who could be at risk of toxic exposures. Recognizing the program’s progress, the most recent RAC report recommends that “Congress should maintain its funding to support the effective treatment-oriented [GWIRP].” We agree and respectfully request that you provide the necessary resources to continue this vital and effective program in the FY17 DOD Appropriations Bill. Furthermore, it is critical to the program’s success and accountability that it remains a stand-alone program within CDMRP, rather than combined with other diseases. Thank you for your consideration of our request, which is supported by the American Legion, Veterans of Foreign Wars, Disabled American Veterans, Paralyzed Veterans of American, AMVETS, Vietnam Veterans of America, National Vietnam and Gulf War Veterans Coalition, the National Gulf War Resource Center, and Veterans for Common Sense. I suffer from GWI and have been fighting for years to get recognition and effective treatment for this illness. Most of the VA providers have never even heard of GWI at least in Winston Salem and Salisbury NC which makes Tom McDonald seem like a liar when he tells us that he is making sure all providers know about this syndrome and know how treat it. At the end of 2014 my conditions drastically became debilitating and I had to go out of work. My company will not honor the disability insurance I paid for and the VA keeps denying my claims for disability rating and social security keeps denying as well. So I am sicker than I have ever been in my life, teetering on the edge of being homeless again while I have to not only fight for benefits but I also have to fight to get treatment in the hopes of at least being able to regain some quality of life. I have contacted countless Veteran Organizations and not one of them is willing to help. They only help post 911 veterans they say. It is sad to say but veterans who lost a limb are the lucky ones. They get treated, they get benefits, they get charity and houses and parades and medals and very deservedly so. We live in chronic severe pain all over our body. We live with severe fatigue. We deal with skin and rashes that itch all over. We deal with constant gastrointestinal issues. We deal with migraines and headaches. We spend our lives laying down often times writhing in pain. There are many other symptoms and issues we deal with as well please google it. 250000 of us in the US deal with this every day. I think the fact that no one has gone postal on the VA and IOM is sufficient proof that this is not some kind of mental defect. But the time has come for all 250000 of us and our friends and family and researchers to stand together and call the President and Congress, and lodge complaints on IRIS and with the VA and any other outlet you can think of. I am doing this as I can in my condition but I am one person. Together we can make a huge difference to wake America up to see how we are being treated. Demand of your VA provider that you get treated for GWI with the most recent research available every time you go to the VA. If we band together and all of us keep informed and keep demanding benefits and treatment and diagnosis then it will not be just one crazy vet but 250000 hero’s.